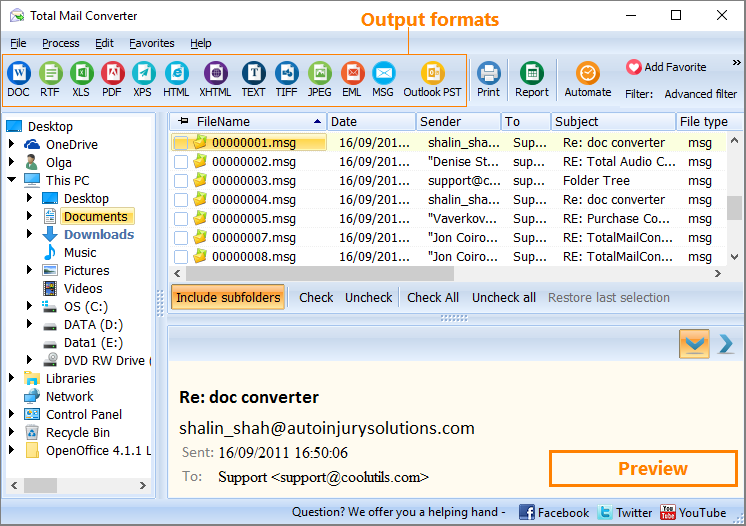 Total Mail Converter creates copies of emails in various formats. 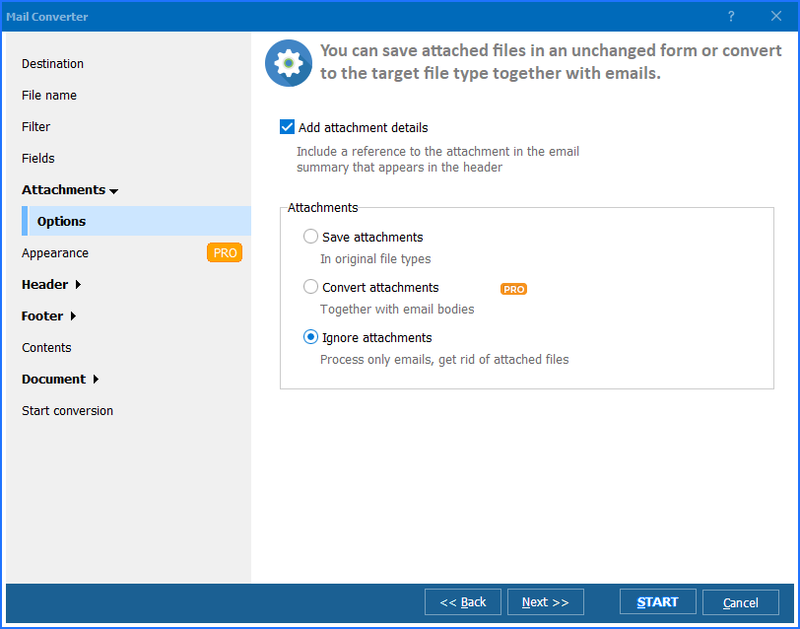 It can not only convert MSG files to PDF in batch, it also takes care about your future comfort by formatting the converted copies properly. One of the most useful formatting options is adding a page counter. 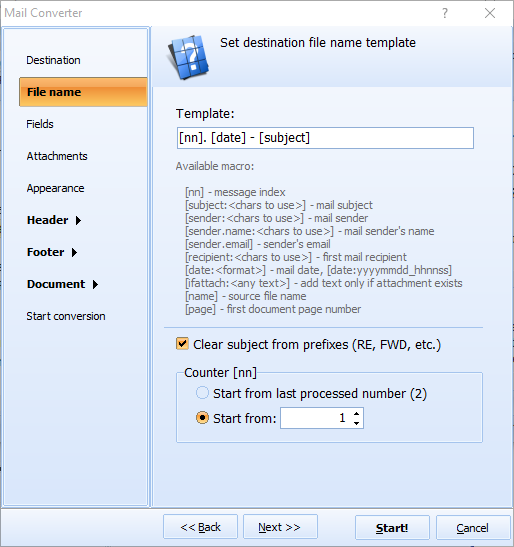 It becomes extremely useful, if you deal with thousands of emails or convert dozens of MSG files into one multi-page PDF document. 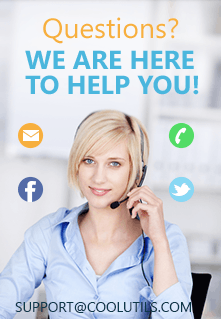 When your PDF mail backup has a page counter, it is easier to refer to specific message or information. Page [Page Counter] - it will generate "Page 1", "Page 21", etc. There can be plenty of other variations with text and page number tags. The text styling is adjustable; you select the size, font and the color of the text. In order to count all pages sequentially, without starting from 1 with each folder, check the "Sequential numbering" option in the Header or Footer menu. 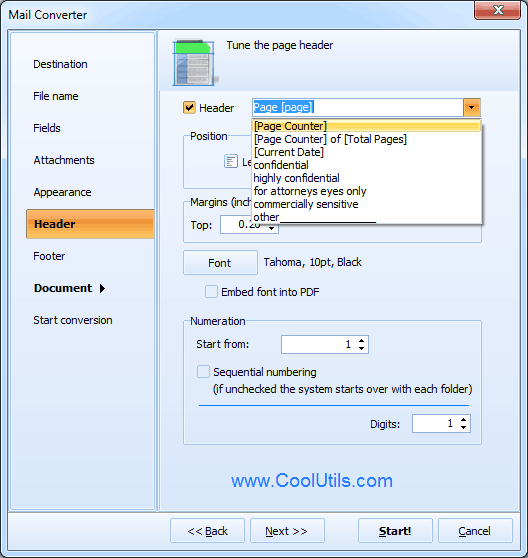 The same way you can add confidential stamp and any other information on each PDF page. Additional options include password-protection and signing PDF documents with your digital signature.